On 10 September 2008 the Department of Business Development of the Thai Ministry of Commerce (MOC) issued a notification (the Notification) that is potentially troublesome for Thai private limited companies with directors residing in different countries, a common feature of foreign and multinational owned or controlled subsidiaries in Thailand. The Notification states that: (i) articles of association (AOAs) containing provisions which allow directors to attend meetings or vote by proxy may no longer be registered; (ii) AOAs containing provisions which allow boards to pass circular resolutions may no longer be registered; and (iii) provisions in previously registered AOAs that allow use of proxies or circular resolutions are no longer effective. The Notification also asks private limited companies to "cooperate" by removing any provisions in their existing AOAs that permit circular resolutions or director voting by proxy. For decades prior to the Notification, the MOC permitted private limited companies to register AOAs that allowed directors to appoint proxies to attend board meetings and vote on their behalf, and allowed the use of circular board resolutions. It was also possible to hold board meetings by video conference and telephone, although these meetings often required follow up in the form of a written circular resolution. Companies with directors residing in different countries often passed resolutions by circular resolution or by proxy because of the cost and inconvenience of having busy executives working in different parts of the world flying to one locale to meet together at the same place and at the same time to hold a board of directors meeting. Often such meetings were required for matters that had already been considered and decided by the management of the local company's foreign parent or for relatively routine matters. Thai law, for example, requires a board resolution to call any shareholders' meeting, and since Thai private limited companies must have at least one annual meeting, this means, in effect, that one board meeting must also be held annually simply to call the required annual shareholders meeting. The Notification has been criticized as impractical and out-of-date by many members of the foreign business community. The Notification is largely based on a Thai Supreme Court decision rendered in 1989, there is no expressly stated policy rationale for the Notification, and many have questioned the legal effectiveness of the Notification. Notwithstanding these questions, foreign companies with AOAs permitting circular resolutions or director voting by proxy face some serious dilemmas if they pass a board resolution without holding an actual board meeting. Registration with the MOC is required in connection with some, but not all, board resolutions (e.g., a registration is required in connection with a resolution to appoint a new director to complete the term of a resigning director.) The MOC typically does not require companies to produce the actual board minutes, the meeting notice, attendance sheets or other evidence that a physical meeting actually occurred, but the MOC's registration form does require a description of the board meeting with details on matters such as the date and time of the meeting and the number of persons who attended the meeting. If these details are not provided, the MOC will almost certainly not accept the registration. And this creates a problem for companies that don't actually hold meetings, since the submission of a registration form to the MOC that describes a meeting that never occurred is a false submission to government authorities, and a false submission constitutes a violation of sections 137, 267 and 268 of the Thai Penal Code. The latter two provisions are punishable by imprisonment for a maximum of three years, a fine not exceeding 6,000 Baht or both. Although the likelihood of prosecution may be low, the presence of this risk complicates the governance of private limited companies in Thailand. Possible fixes to the problem are currently being explored. 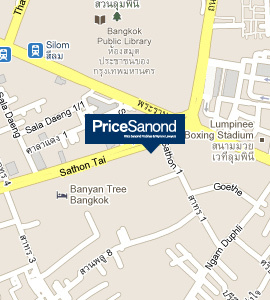 For further information please contact PriceSanond at pspw@pricesanond.com or +66 2 6791844.